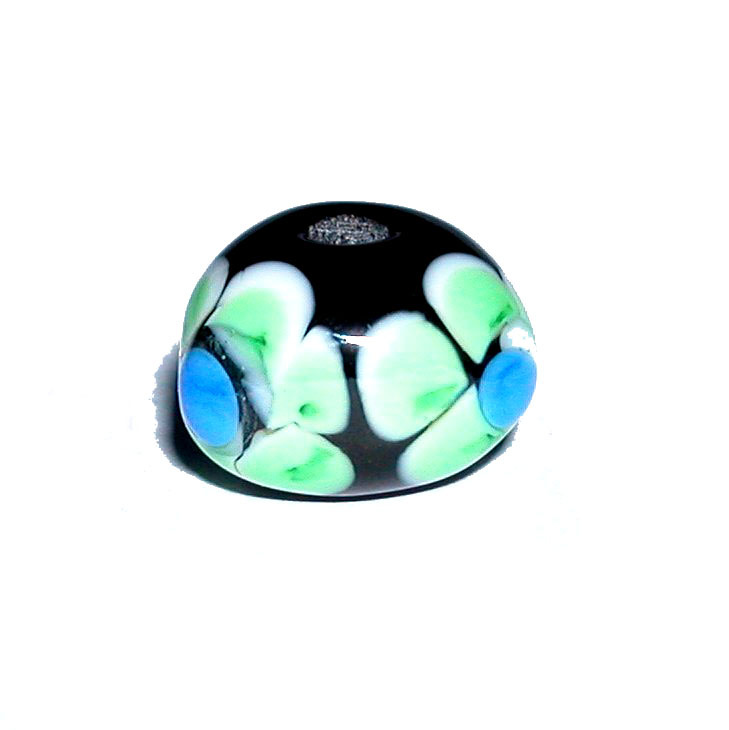 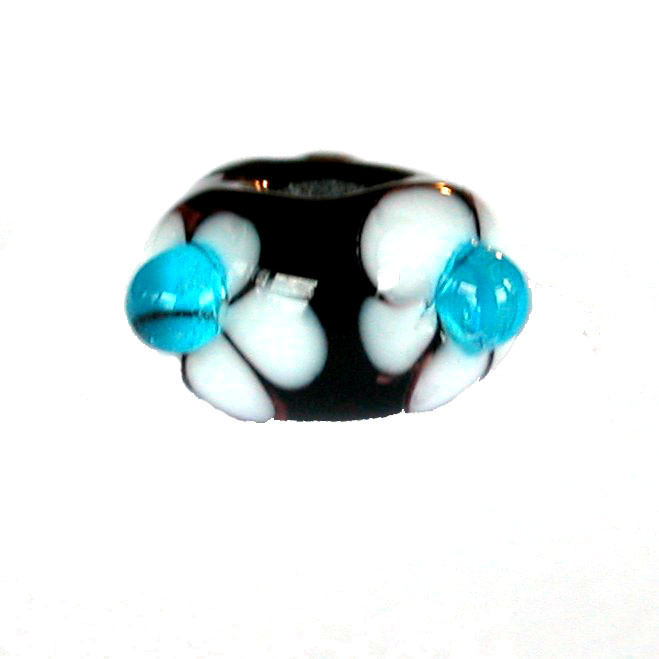 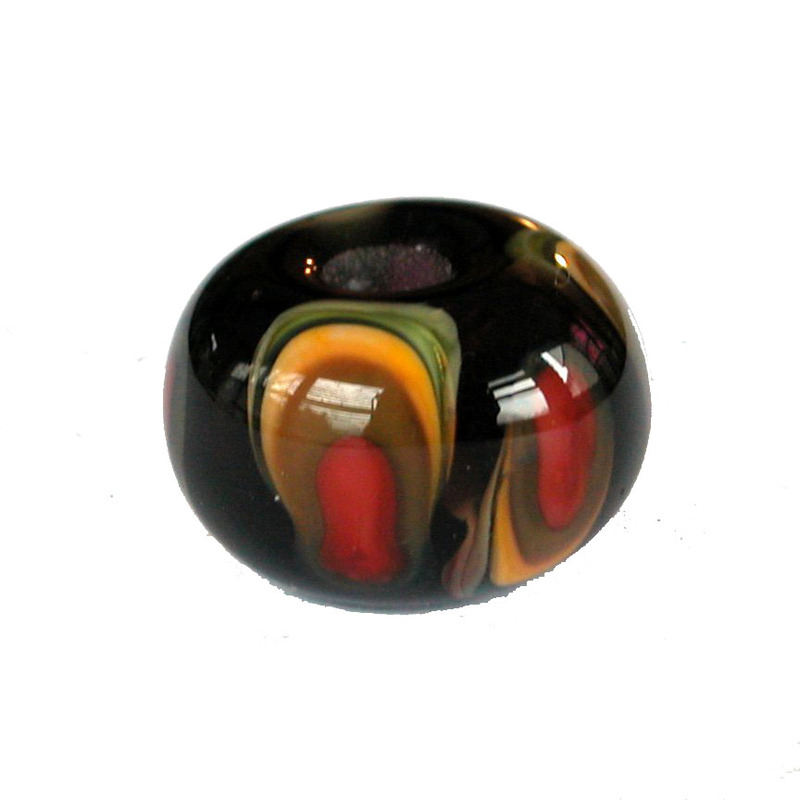 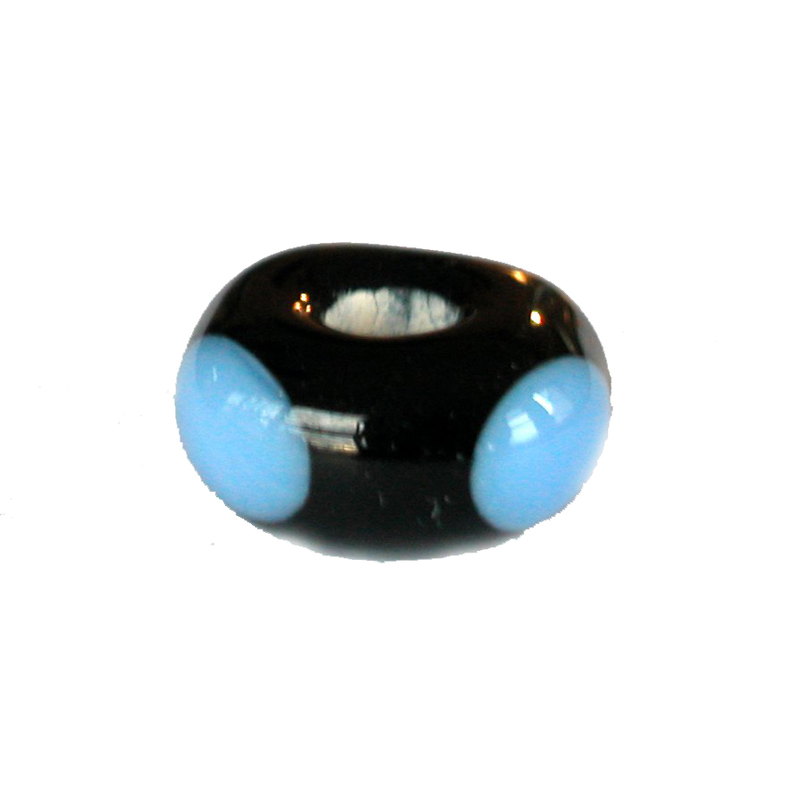 I am a glass bead maker and jewelry designer. 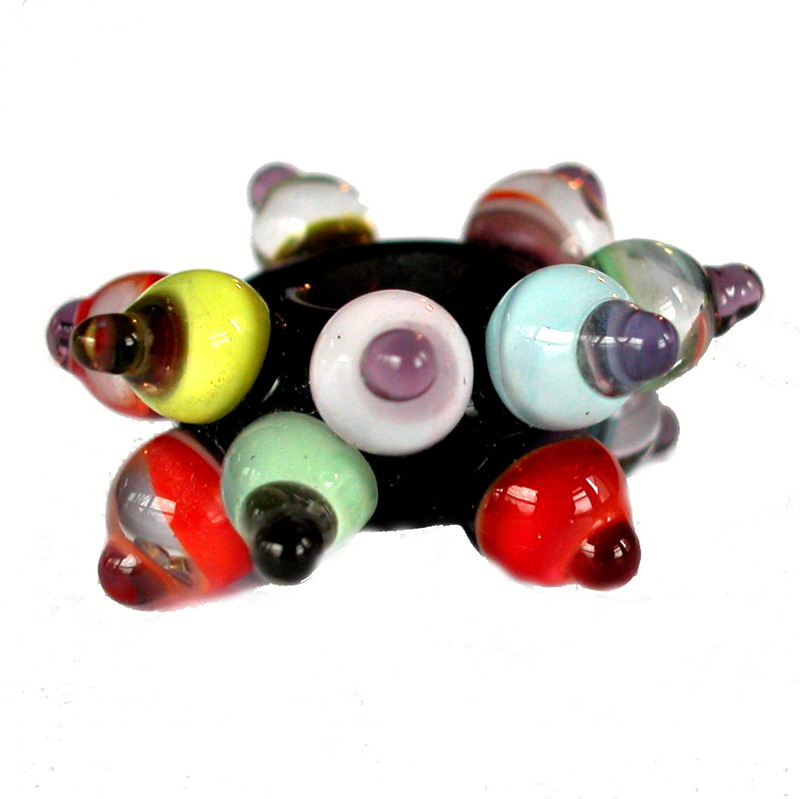 Born and raised in Brooklyn, New York has given me an eye for color and design. 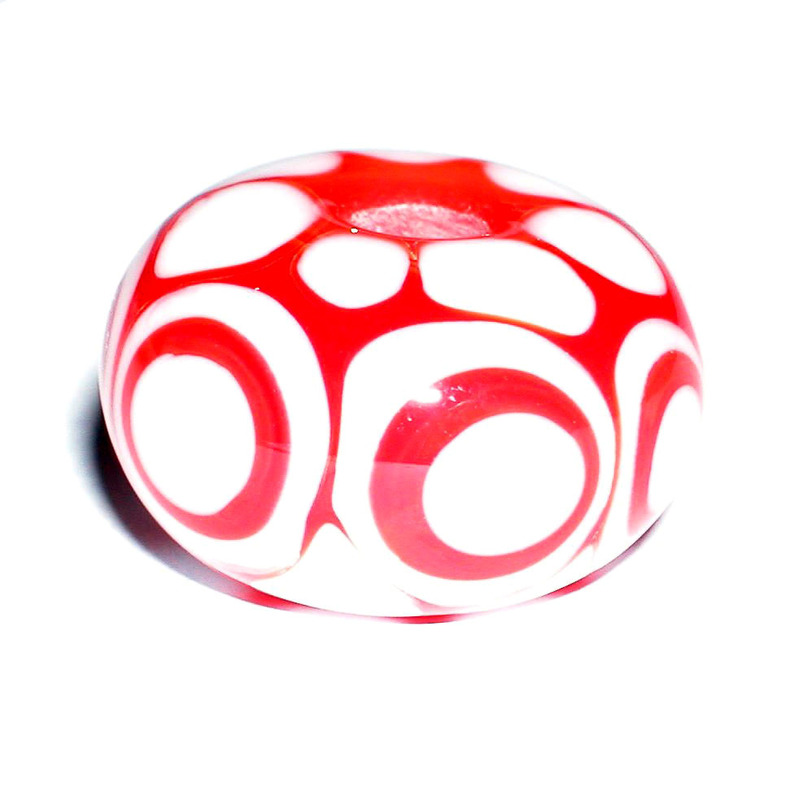 New York is all about fashion, style and being unique. 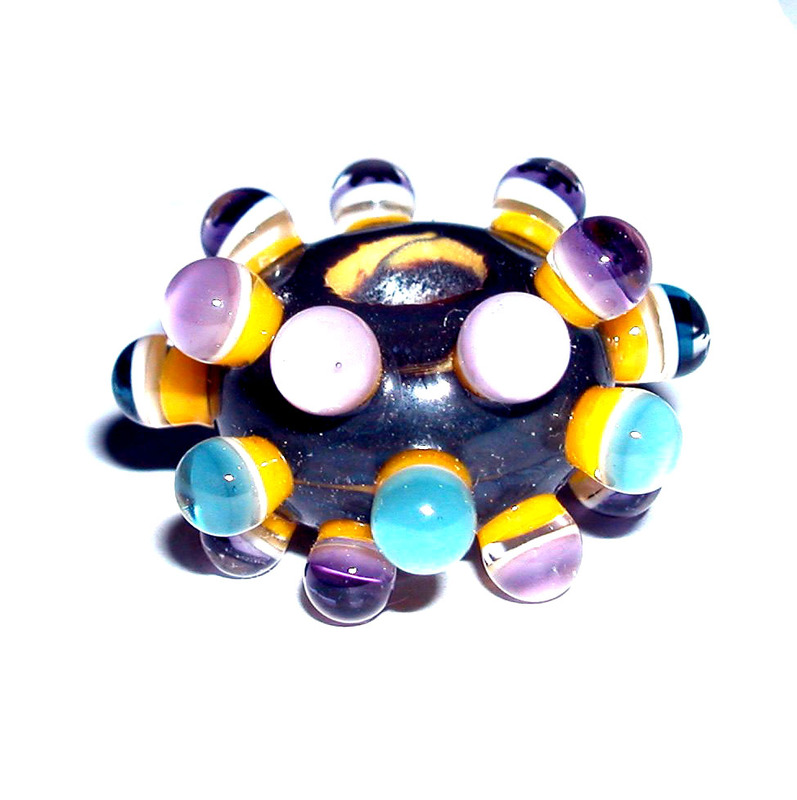 Wearing handcrafted jewelry just makes sense to me. 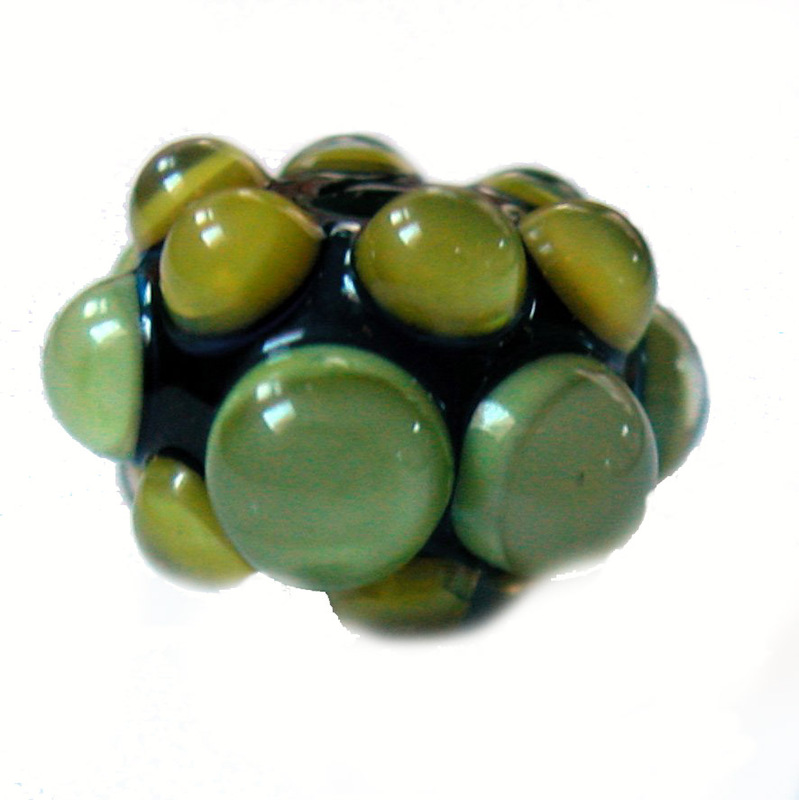 Learn More About April, watch her make a bead and learn how it is done. 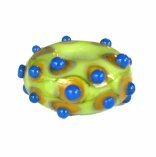 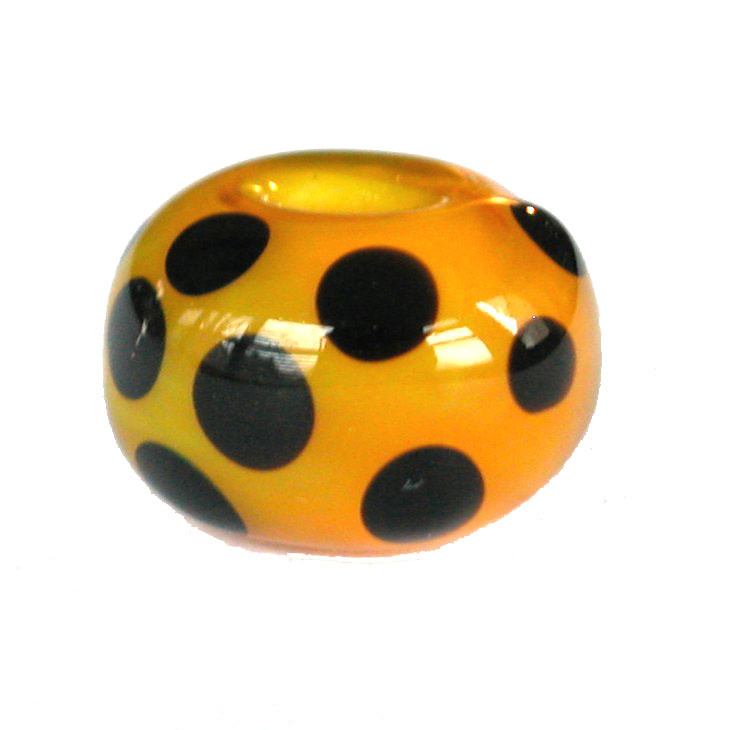 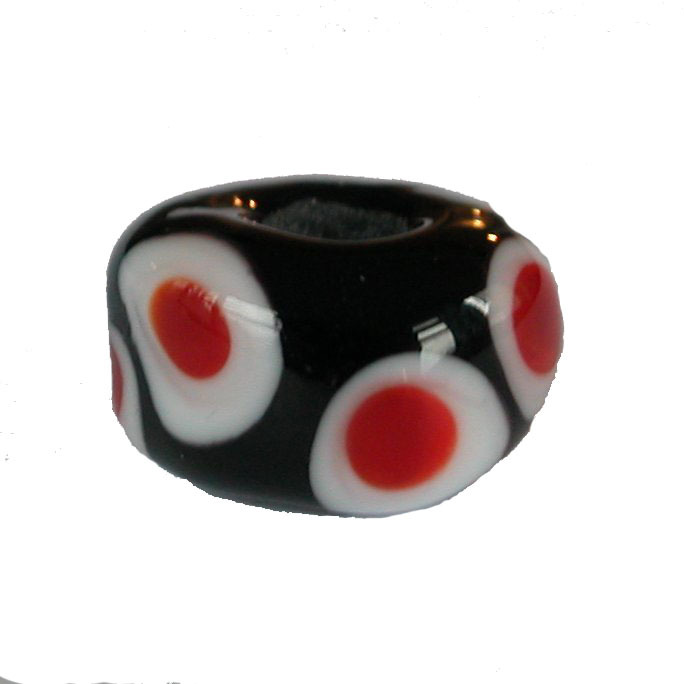 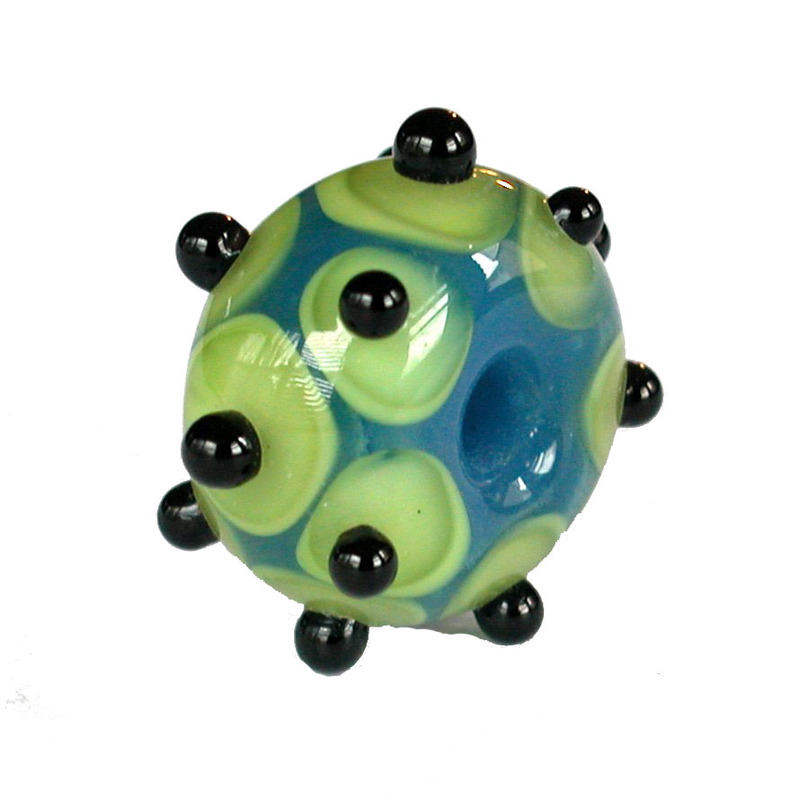 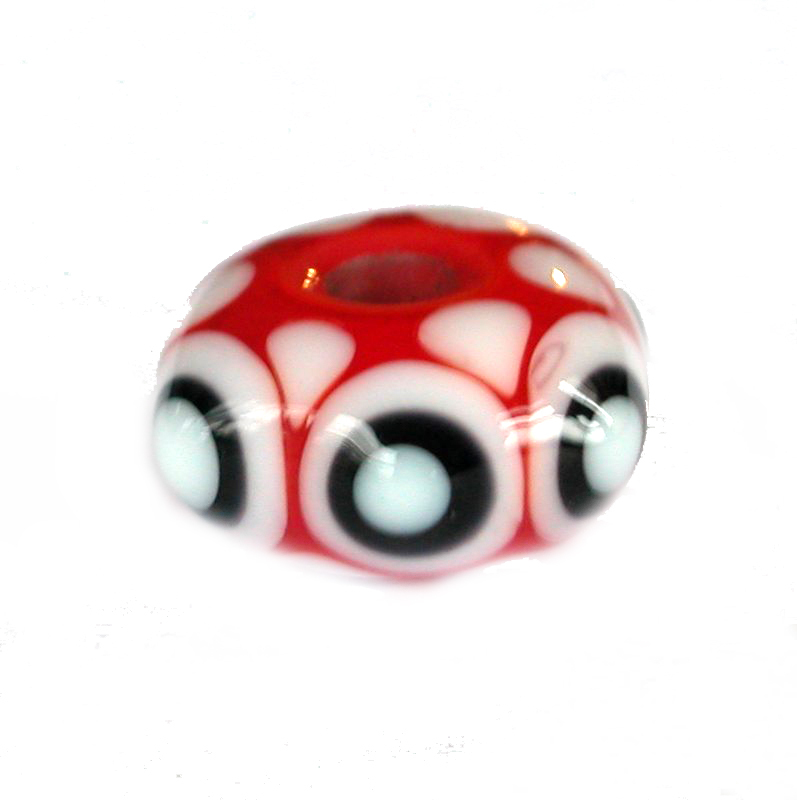 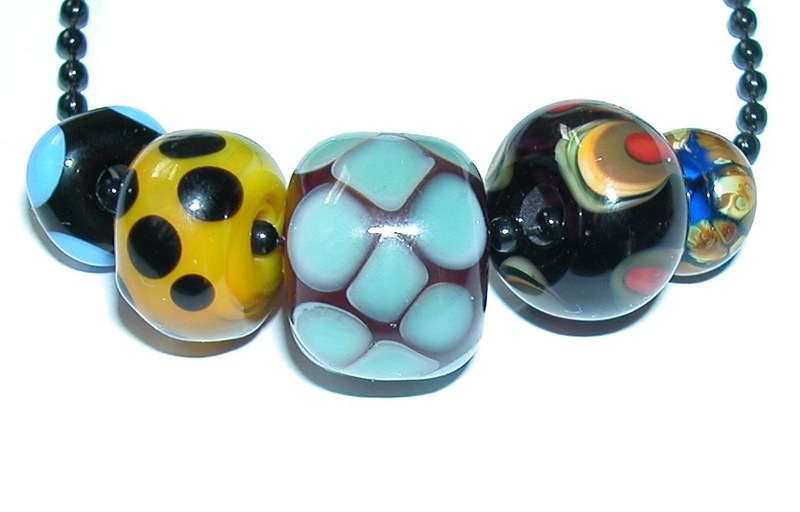 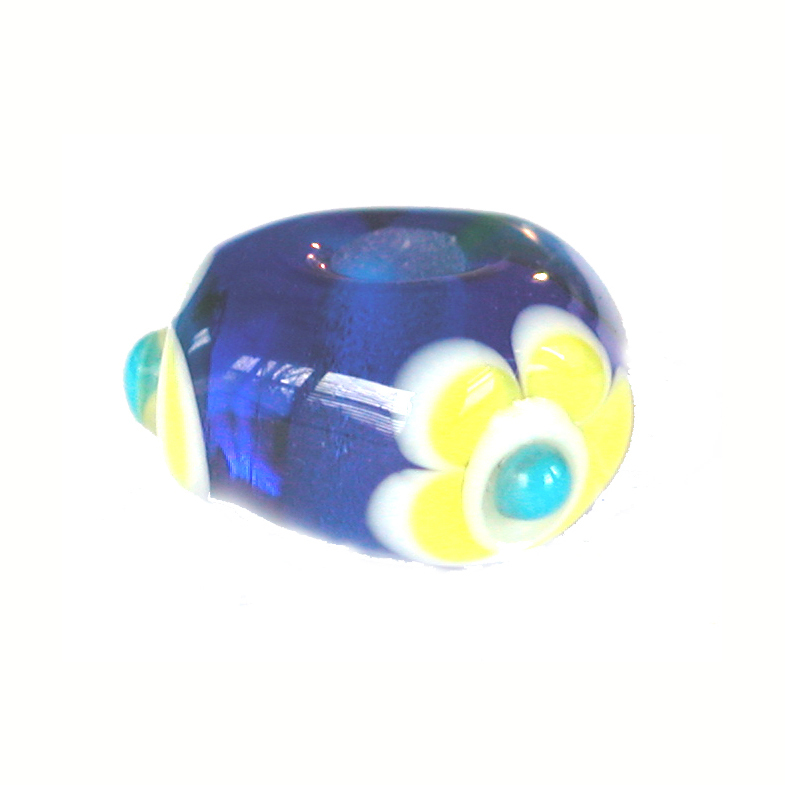 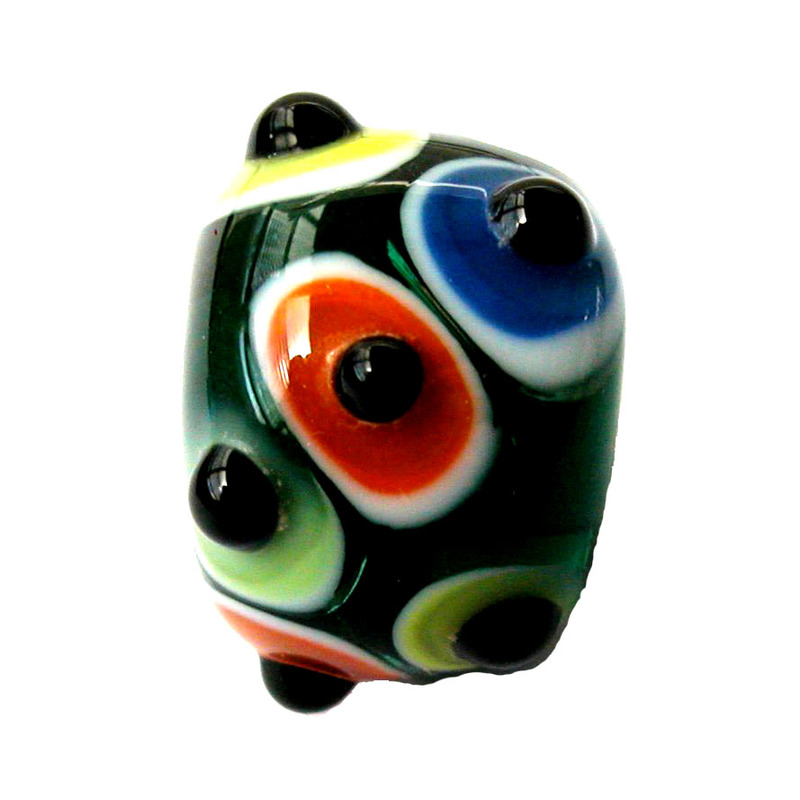 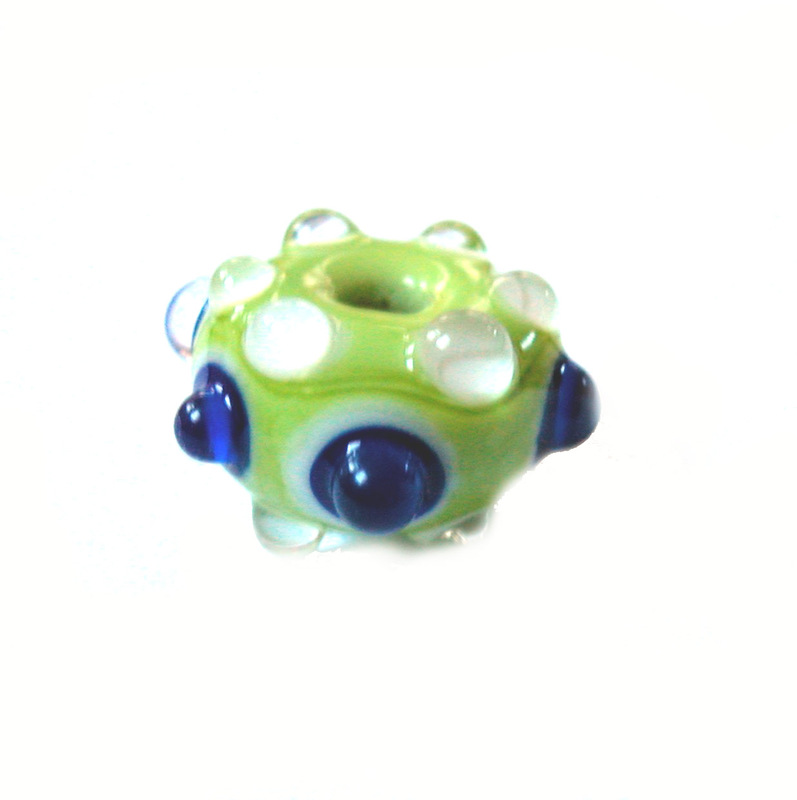 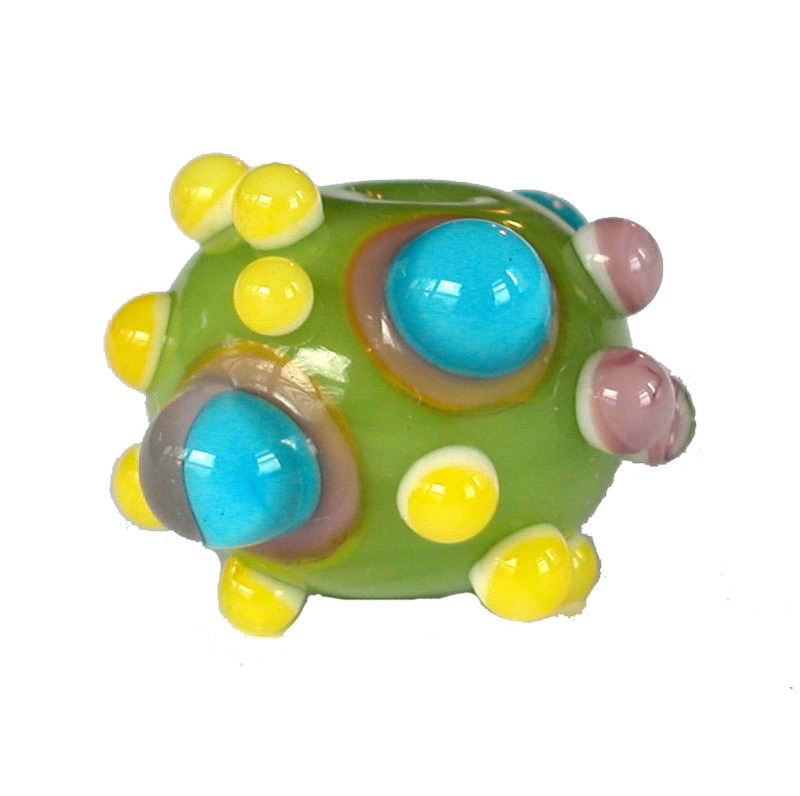 I have been fascinated by lampwork beads for years. 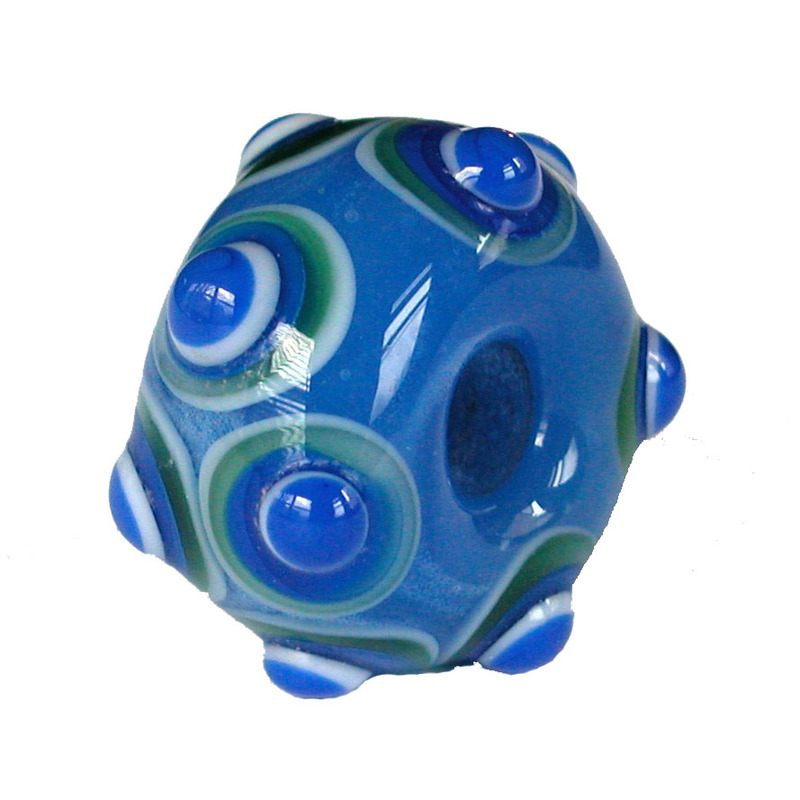 As the owner of Crest Jewel, I visit the lampwork artists in every show I visit. 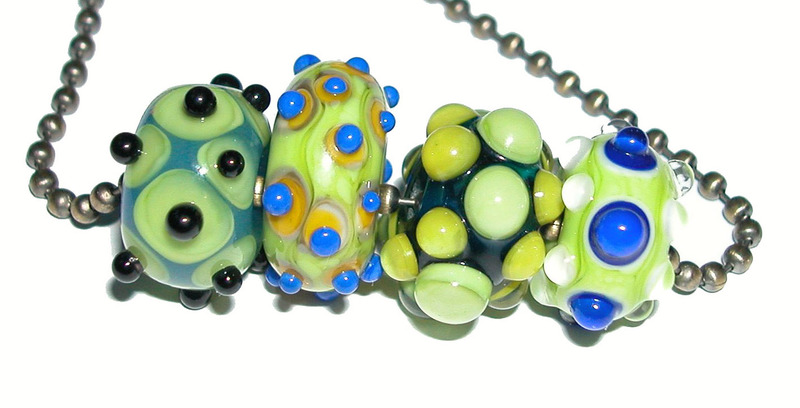 The wonderful surprise for me was meeting April who lives nearby my home in PA. Transported from Brooklyn some years ago she has been making exquisite beads ever since her days at Art School in NY. 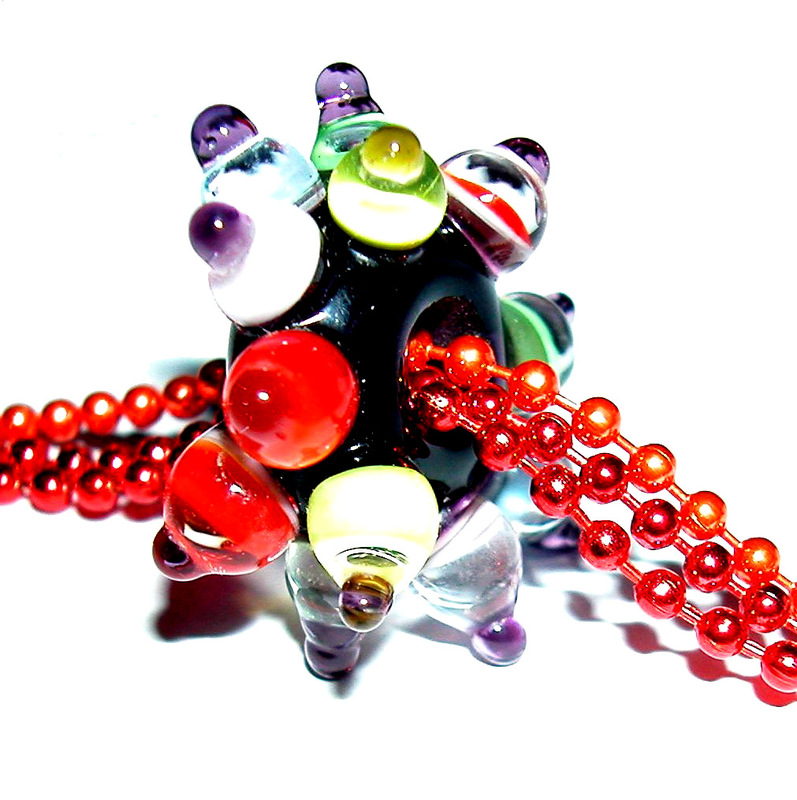 I have an ever growing pouch of carefully chosen beads form her latest creations. 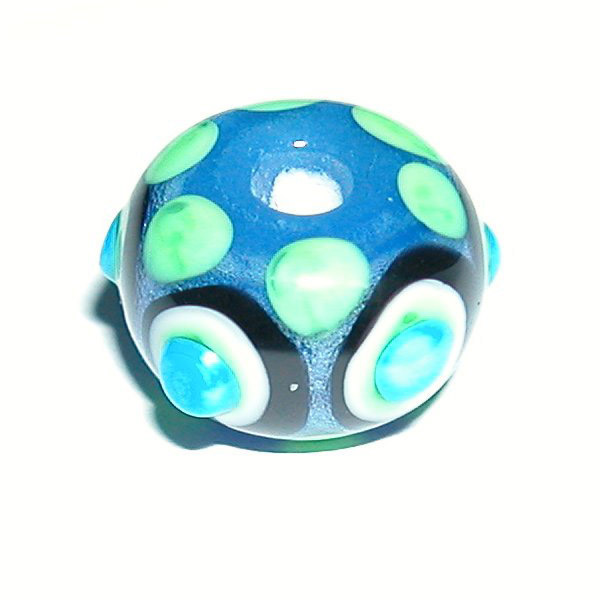 First of all I have to say I love color and dots. 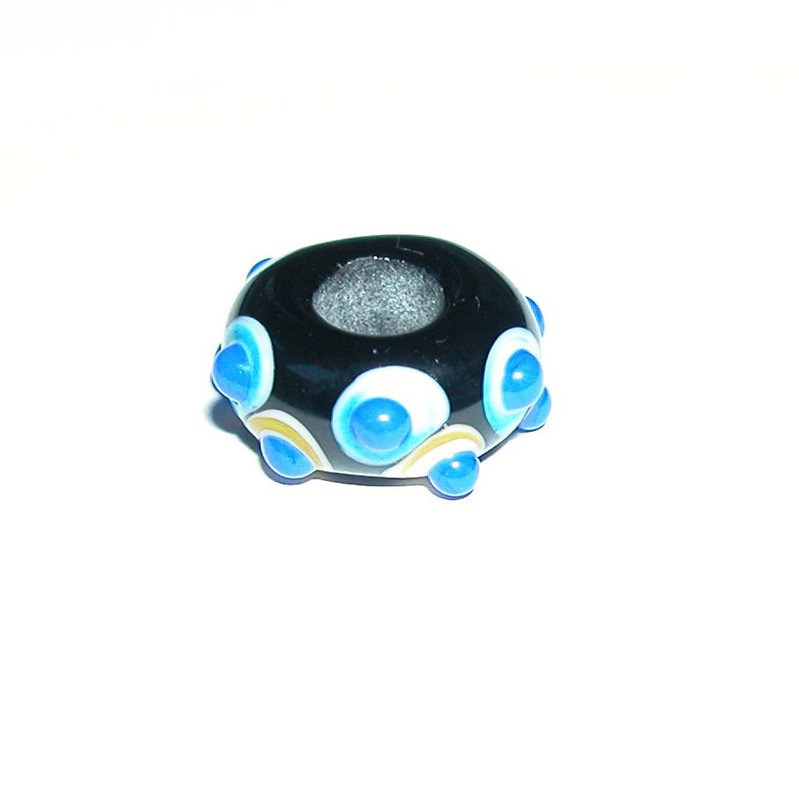 Many of her beads are variations of a dot theme and I have never found beads more specially dotted than hers! 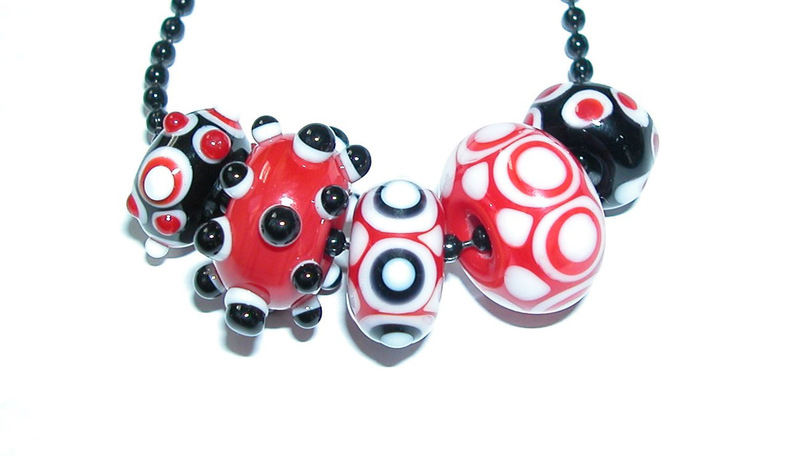 The joy I get from combining and recombining their colors and shapes into necklace combinations has made this little exercise a captivation for me that sometimes mesmerizes me for hours. 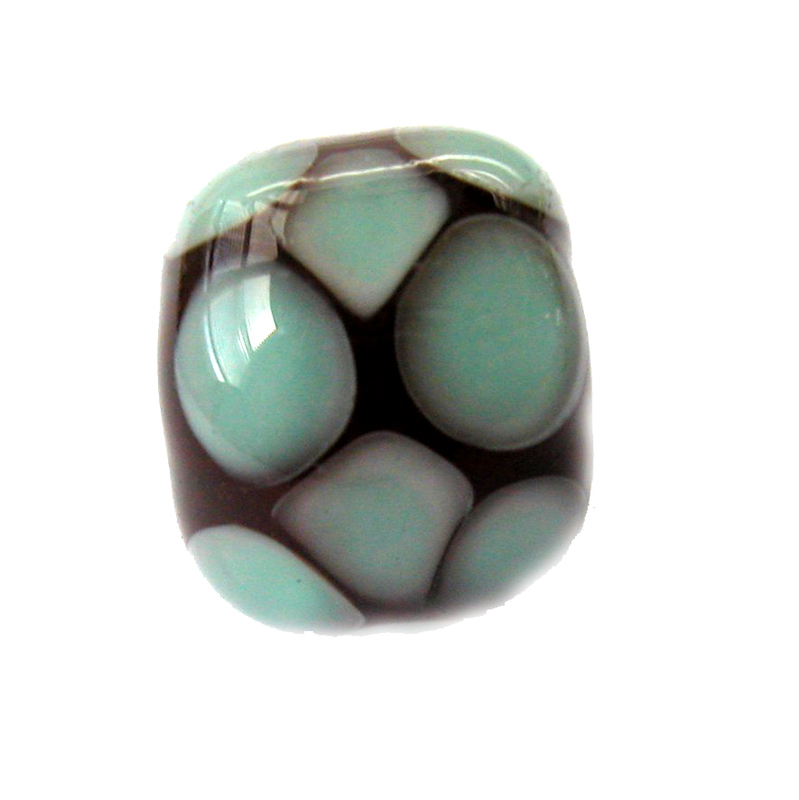 What you will find on the Crest Jewel site are our picks from April’s collections and then combinations that charm us so much. 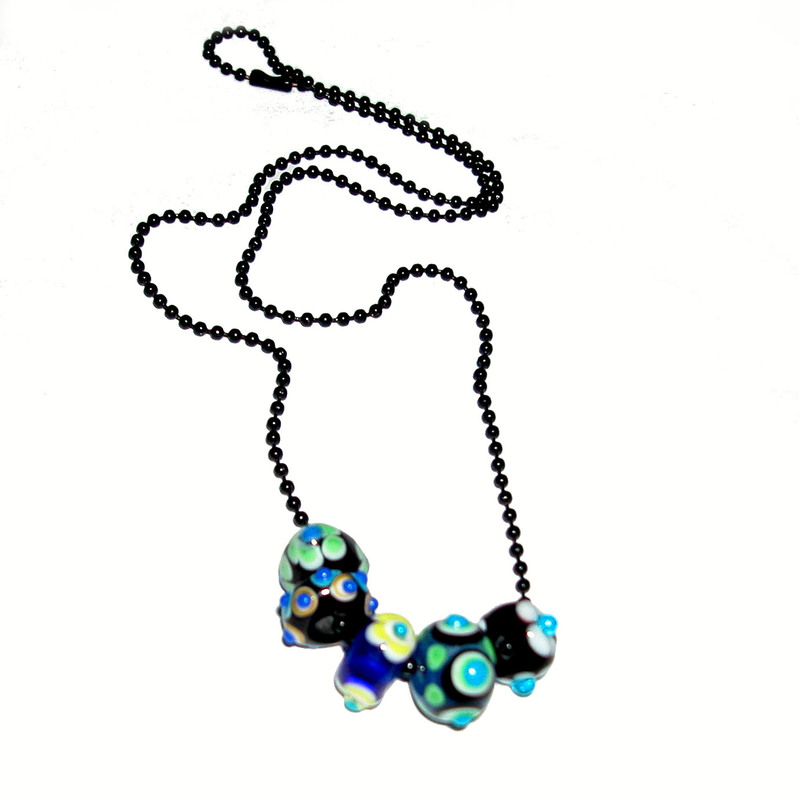 See in each row the individual beads followed by a simple necklace made from those very beads. 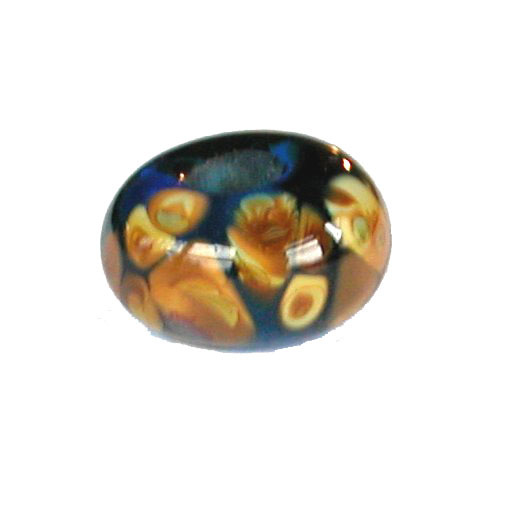 April’s beads are hand-made gemstones that accent the precious ones we have from nature making for a most natural complement. 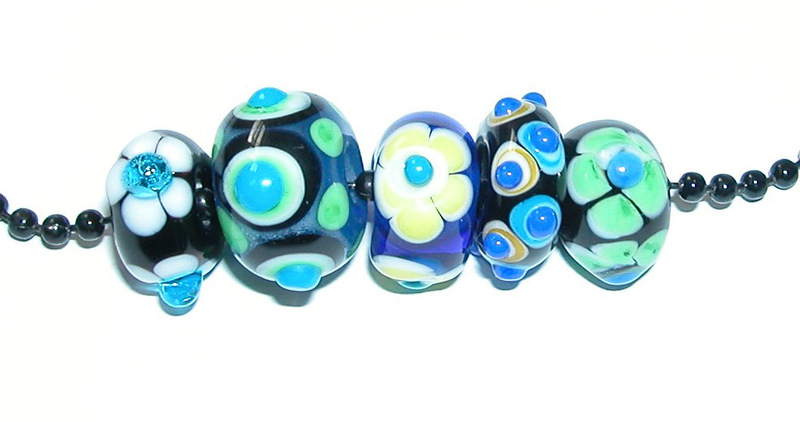 These beads can’t be repeated as each is it’s own mini masterpiece.